Making money online is not tough as many think. With the right guidance and knowledge, anyone can make a decent income over the internet. At present, there is a buzz for flipping websites. Not everyone can sell a websites. You need to know some coding and enough creativity to design. Though the above two qualities are essential they are not mandatory. You can ignore the design part and just sell the domain name, with basic templates (which are available freely). Generally, a website sells from $50 to thousands of dollars. Entrepreneurs and Internet Marketers hardly have time to purchase a domain name and hosting service. This being the case, hardly will they have time to look after the design aspect of the site. Short term Flipping is done to gain minor profits in a short time. It involves purchasing of a domain name, hosting service and creating a design. To make it appealing striking images and quality contents are added. Cost and time invested is very less. For instance, purchasing of domain costs $10, hosting for $6/month and other miscellaneous $10. Therefore, in all you had invested $26 in a site. Within a month you can sell it for anywhere between $50 and $100. If you had incorporated the site with a stunning design, it can fetch even more. This sort of flipping is something that of long-term investment. After you had purchased a domain name and hosting service, you need to work on building the site. Goal should be to attain readers over the course of time with a revenue generating system as AdSense. Long term Flipping can be done for several years. Buyers will look for the income it generates each month, the number of unique visits and its rank statistics in the eye of Search Engines. 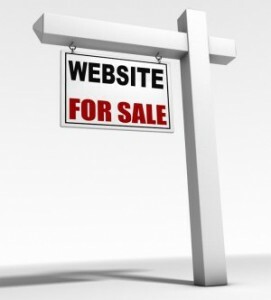 Depending upon these factors, the sites are bought. Sites sell as high as $10,000. Exceptionally high-income generating sites sell for even more. Next time you wish to make money online, give flipping a try. I can assure it will not only prove beneficial but will be fun.